Explore magical shamanic spaces by yourself or with a group. There is an ancient tradition of esoteric work with the sacred sexual energies that act as the basic fuel for Life. This Toltec shamanic teaching has remained hidden for over one thousand years and has been passed only by direct transmission while in the Dreaming or altered states of consciousness. The music in this CD was created with the intention of working as an active element in a series of tantric invocations in which Koyote, a Central American Shaman, continued this tradition, passing on this teaching through a live ritual in such a way that it takes hold in each individual essential self, activating the work of the Sacred Serpent within each of the ones attending (the essential energetic element of tantra). The music can be used as a stepping stone in your own individual or group explorations into this mysterious territory. As the music takes you through 7 chambers, simply alter your movement and manifestation to complement and reflect the new chamber. 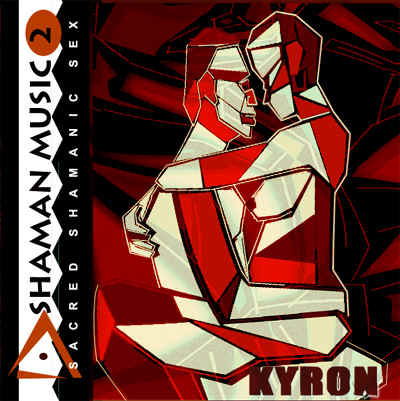 "Kyron is so convincingly evincing the broody, seductive atmosphere on this slow-paced dirge of dark tribal. This 7-track charts its darkly humorous, entirely singular approach to sonic experimentation, and while it's not for the aurally squeamish, makes this a must for any musical renegade." very unique music for special moods. "